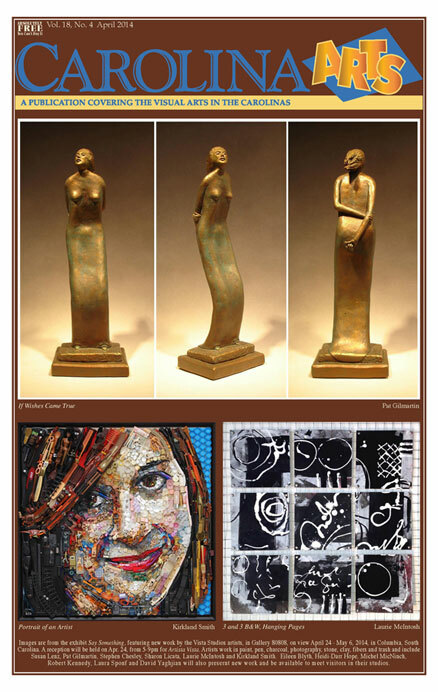 The April 2014 issue of Carolina Arts is up on our website at (www.carolinaarts.com) – all 83 pages of it. That’s ten more pages than the March issue and May will probably be even bigger. The big ice storm we had put us a little behind. That’s what happens when you lose power and even worse – internet service. But we made it – even if it did take all the way up to the last minute. I’m declaring that Winter is over and all of April should be 75 degrees – no warmer and no cooler. That the perfect temp for reading our paper. And help us spread the paper around by sending these links to your friends. If you want to get something in the May issue – send it now or as soon as you can. Don’t wait till the Apr. 24 deadline – or you could be left out.